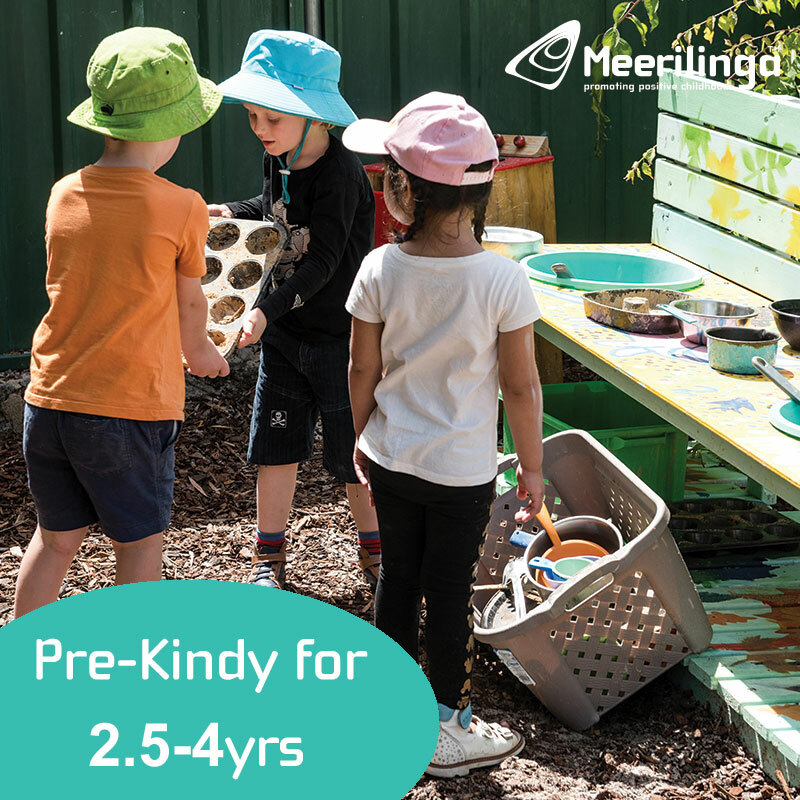 While in Margaret River if you would like to explore the caves the Mammoth Cave is a good option for young families, with it being the most easy to access cave in the region. The cave admissions office / shop is easily accessible from Caves Road with designated parking and a series of boardwalks located at the entrance to Mammoth Cave. 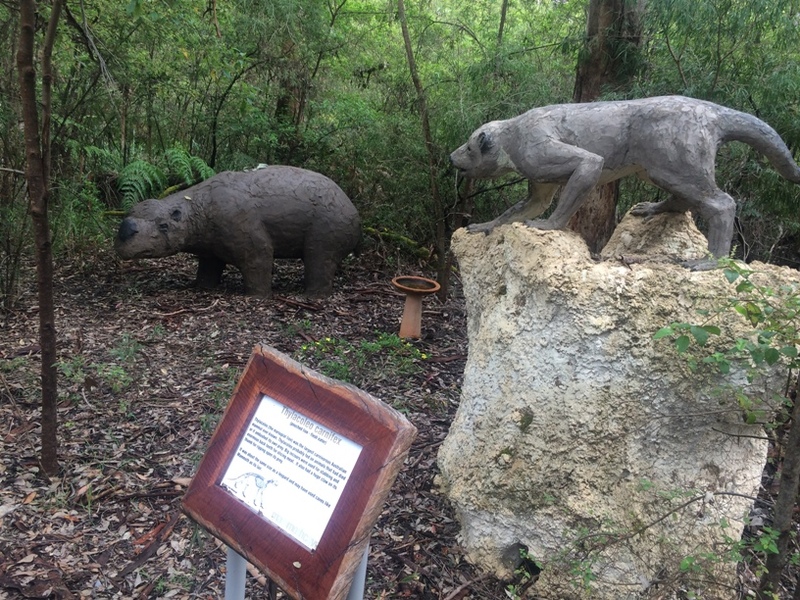 As you approach the office to purchase your tickets you can see some statues and information about the giant marsupials (known as Australia's Megafauna) whose bones are contained within the limestone caves. 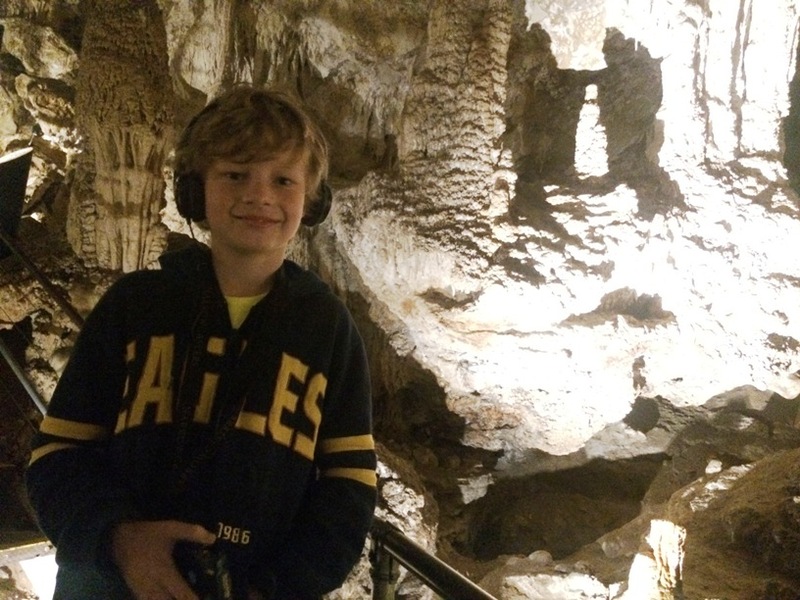 You can choose to just enter Mammoth Cave or bundle your entry together with more cave visits or purchase a cave and lighthouse package to help you save if you plan to visit this attraction and other caves. 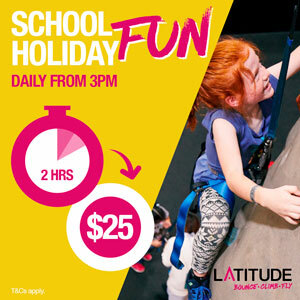 A family pass is $58 (2A+2C) and additional children are just $6. 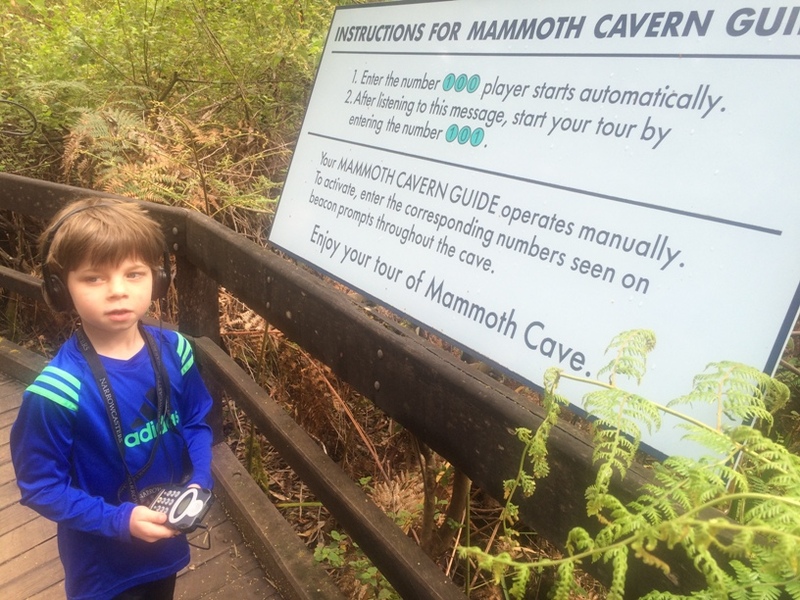 Kids under 4 enter Mammoth Cave free. All the kids were very excited about being in control of their own tour guide - an MP3 player. 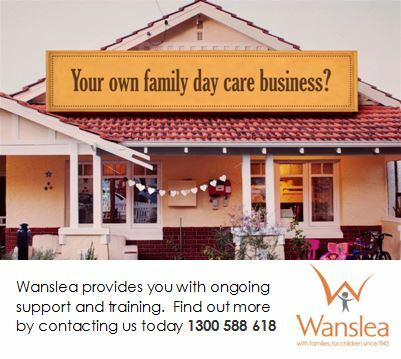 This is great because it means you can turn up anytime during opening hours and not have to wait for a tour to start. Each person gets a player and head set and there are clear instructions before entering the cave about how to use the MP3 player to get all the information you need to know and interesting facts about the caves during your tour. As you enter the cave you will feel the temperature drop so it's best to dress warm for your tour, we highly recommend you bring a jumper or jacket along. 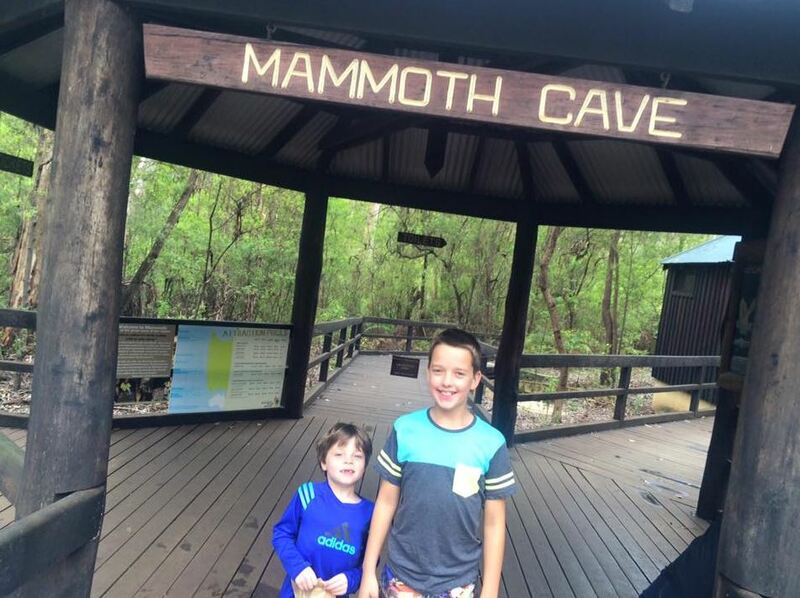 Mammoth Cave is not pram or wheelchair accessible so kids need to be able to walk on their own for the whole family to enjoy the tour. As you wander round your will see numbers to indicate what number to enter into your MP3 player to access the next part of the audio tour. The kids found the audio tour facscinating, stopping many times to discuss what they heard and what they could see. 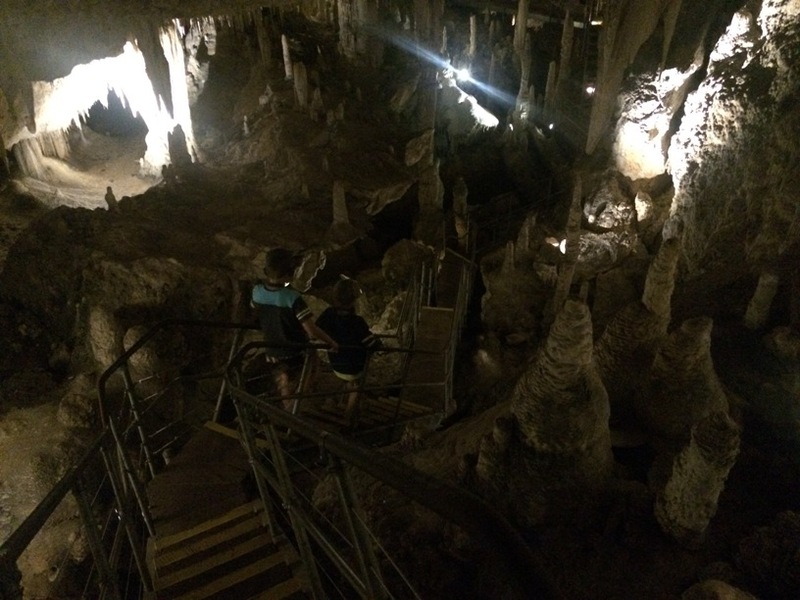 The stairs wind up and down and around the caves so kids need to be pretty good on their feet to negoiate their way around. For Master 6 his favourite part was when the audio tour talked about the giant marsupial bones that could be seen within the cave walls and features. He was pretty excited when he found some. 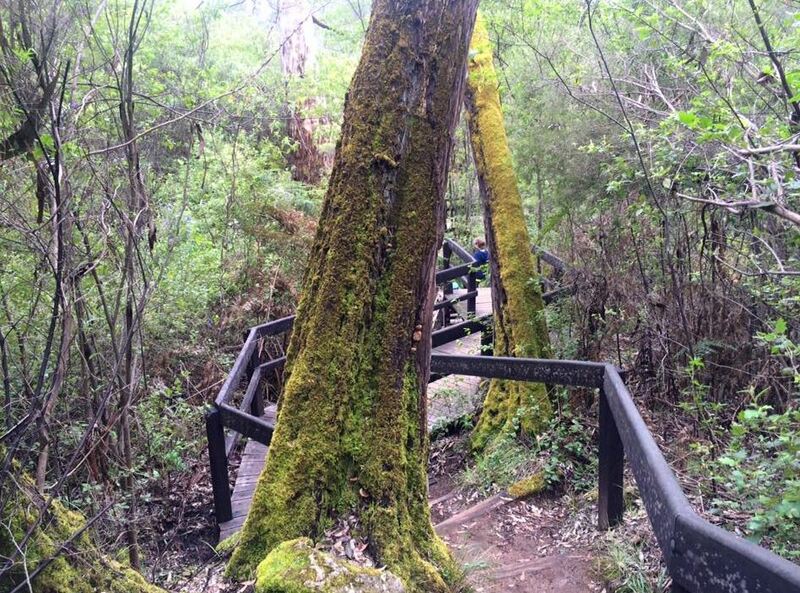 The walk out is probably the toughest part of the Mammoth Cave Tour. 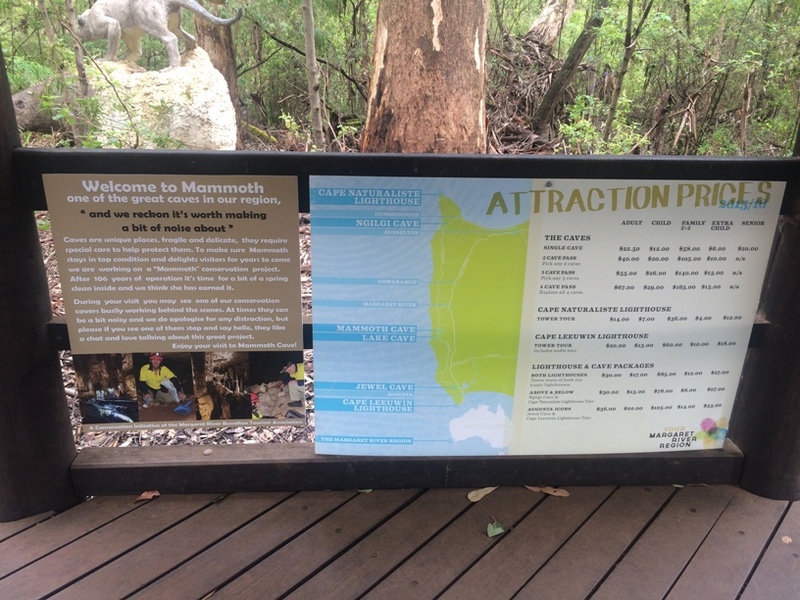 There are 161 steps out back to the top - however there are several platforms where you can stop and look back into the cave and enjoy the views of the surrounding forest. At the top of the steps there is a crossing over Caves Road, so make sure kids don't run ahead as this is obviously a very busy road. 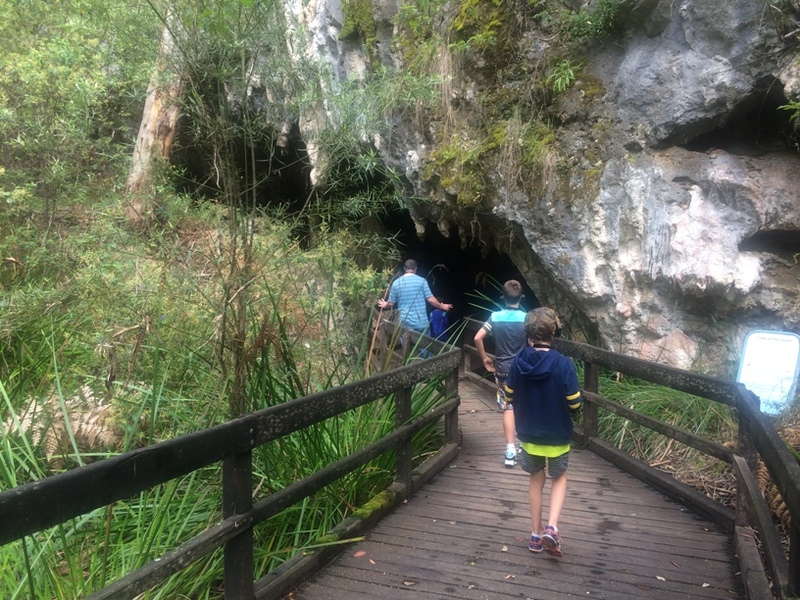 Mammoth Cave is a definite must do while holiday in Margaret River with family. It's a particularly fun rainy day thing to do. 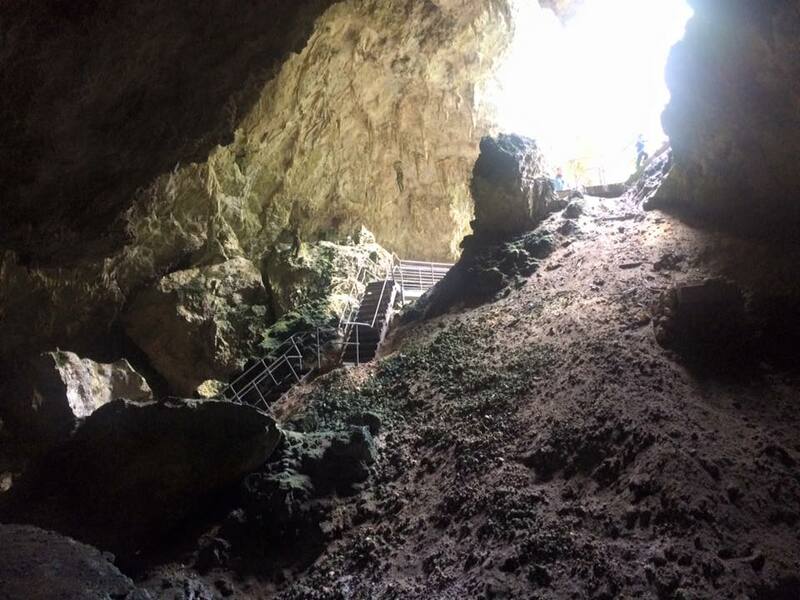 Make sure you dress warm as it's quite cold within the caves and wear sturdy footwear as there is quite a bit of walking and stair climbing throughout the tour.